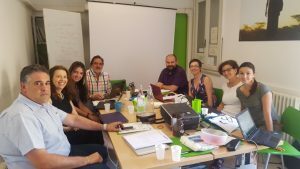 Oxfam Italia hosted the 2nd project meeting in Florence (4th – 6th of July). The main objective of the meeting was to review the design of the training course for teachers scheduled for autumn 2017. The 2nd day was totally devoted to the workshop “Evaluation Tools: training on the E-EVALINTO online environment”. Thanks to all the participants for these profitable days!